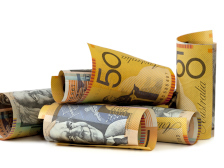 A lack of understanding by SMSF practitioners and trustees about the two different tax treatments that apply in relation to the CGT relief has the potential to lead to “significant tax consequences” in future years, warns a consultant. Miller Super Solutions founder Tim Miller says one of the reasons the CGT relief has caused so much confusion is because there are differences in how the relief applies, depending on whether the fund uses the segregated or unsegregated approach. One of the differences is with the timing of when the relief applies, with trustees able to select a date where the fund is segregated. Alternatively, with the unsegregated approach, the relief is effective 30 June, Mr Miller told SMSF Adviser. “I think there are a lot of people who don’t understand this, especially at the trustee level. Segregation in itself has always been a troubled area with regards to people’s understanding of it,” he said. The treatment itself also varies depending on whether the fund is segregated or unsegregated. SMSF trustees also need to understand that they do not have to use the relief, and that it’s not mandatory, and they don’t have to use it for every asset. “The biggest consequence [of getting the decision wrong] is that it’s irrevocable. Once you’ve made an election and chosen a date, that’s it – so you cannot unwind the transaction,” Mr Miller said. For most clients, this wouldn’t be a large amount of money and it would only affect those with more than $1.6 million. “It’s probably not that significant, but I suspect for clients with larger balances, there is some sort of significant tax consequence attached to it,” Mr Miller said.